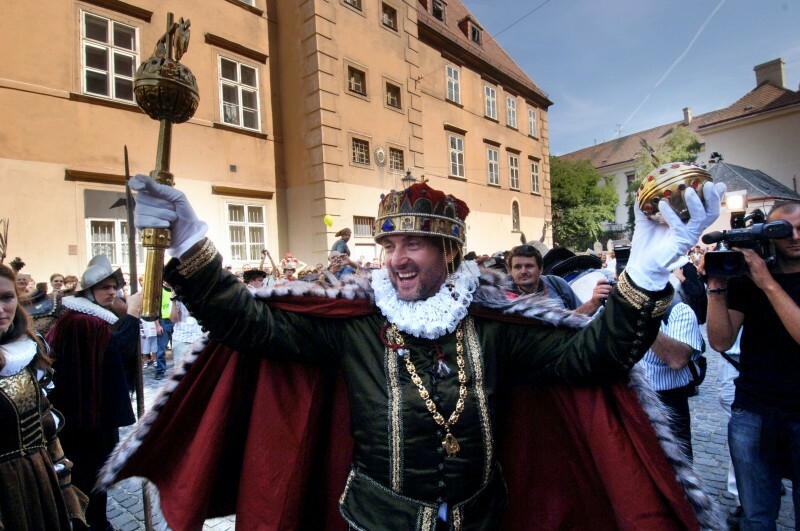 Coronation Ceremonies in Bratislava are among the largest cultural events in Slovakia and presents the 18 coronations of kings and queens who were crowned in Bratislava in an experiential way. They take place annually on the last weekend in June to commemorate the coronation of Maria Theresa, who was crowned 25 June 1741. The coronation is staged according to historical documents. It is performed by more than 200 actors in period costumes. The king receives St. Stephen’s crown from the archbishop of Esztergom –the Primate of Hungary – along with other coronation insignia: the sword, cloak, orb and scepter. After the coronation ceremony, he appoints the knights of the Order of the Golden Spur, takes the oath to the country and promises to maintain the integrity of the country on the coronation hill. Coronation chips are thrown about as part of the coronation procession; free wine flows from the fountain; oxen are baked; and the contemporary coronation craft fair and many other attractions create a true coronation atmosphere in the city. 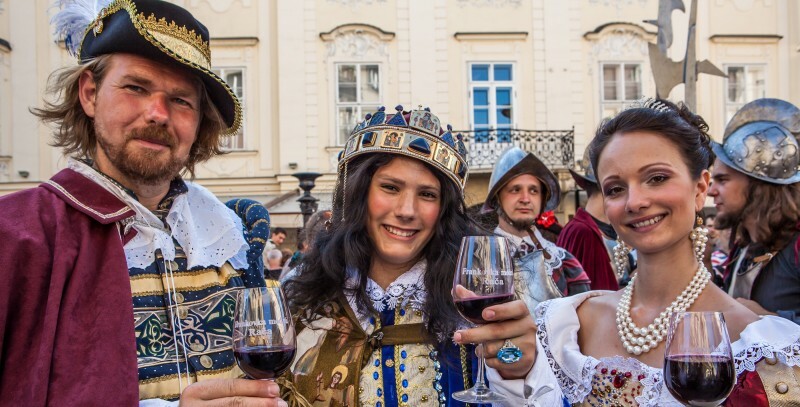 The Coronation Ceremony historically depicting the actual crowning of monarchs follows Bratislava Coronation Days and takes place on June 23-25, 2017. Over these three days there is the Blaufränkisch Ceremony, with fine wine at the Main Square ready for you to enjoy. 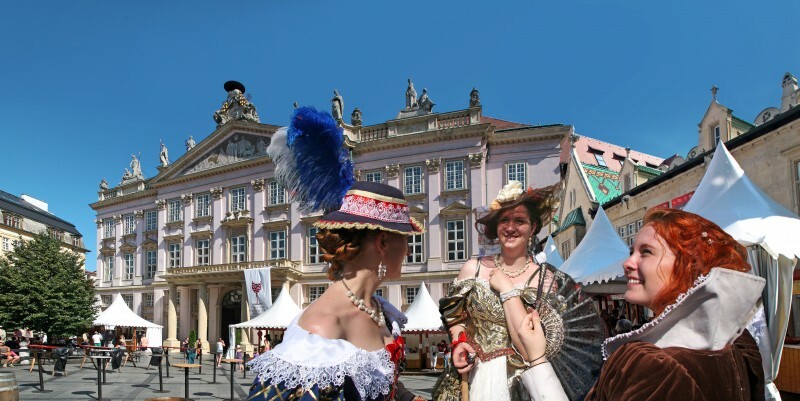 During the weekend, a traditional crafts fair takes place at Hviezdoslav Square. The main program is scheduled for Saturday right on Hviezdoslav Square, with oxen to be roasted on a spit from dawn to dusk. The coronation tour starts at 1:00 PM and runs from Bratislava Castle through the center of the city to end at Franciscan Square. At 1:30 PM, Elisabeth Christine will be crowned queen consort at the Jesuit Church of the Most Holy Savior and the ceremony will be shown live on a big screen at Hviezdoslav Square. The program continues with the dubbing of knights into the Order of the Golden Spur, the coronation procession and the scattering of coronation tokens on the Main Square. This wonder day ends with folklore music and dancing on Hviezdoslav Square.